Michael @#$%& us up real good. We have the neighbors MASSIVE tree sitting in our house right now. We’ve been staying with friends since last Thursday. To say the process is glacial would be an overstatement. So far the only thing that has been done is the tree has been limbed up and some of the holes in the roof have been tarped. The tree is still there though. I understand that everyone is overworked. Especially since our little town had a bullseye in it in N.C. but have to wait 3-5 business days to see an adjuster is bs. Just b/c it’s the weekend doesn’t make my house any less devastated. Anyway. I didn’t post here to complain. I’m looking for similar experiences. Like I said. We’re staying with friends. And that is getting really old. Really fast. I do t feel safe in our house so we cannot go back yet. I don’t know what to do since I have not spoken to an adjuster yet. My agent says to do what I need to do and I will get reimbursed. But I don’t like floating money for the insurance company. But how do I see if it’s ok to live in the house? Do I need to find an engineer? For all I know when the finally get the tree out, the whole wall will collapse. If I do t go back to the house, what to do? Rent a house? A hotel? Could be months. Probably will be. I definitely don’t want to be there when the rio off the top floor and rebuild it. Where does all our stuff go? This is driving me nuts. All this not knowing. All this hurry up and wait @#$%&. Glad you and your family are safe. I have a friend who went through something similar only he was truly thankful his 10 year old son wasn’t killed when the tree landed on his bed in his bedroom. Try to find the silver lining is the only advice I can give. It’ll be a lifelong memory for you and your family. I would think looking for long term alternatives is key. Maybe finding a good air BNB? Just want to say how sorry I am that this happened to you and I completely understand your frustration. Makes me mad when I see all those ads on TV saying how quickly the insurance companies are at getting adjusters out and getting the insured a check. I think looking into an ABnB is a great idea, but I understand you want to wait to actually do anything until you know what your insurance company says. Glad you and yours are unhurt and safe. I'm sure the insurance people who deal with a claim or two a week are massively overwhelmed as are the police, fire, and all the support agencies. I have already given money to the Red Cross and Salvation Army. I wish you the best of luck with recovering from this tremendous PITA. I suppose the one positive at this point is the power went out on Thursday so my wife decided to take my daughter to a friends house. It was shortly thereafter that the tree fell. With out pictures this solution is much to general. Tree removal will make or break this crisis. Could seal off the affected area like a damaged ship. Could set up a tent in the back yard. Could move in to a storage unit. The storage unit will be good for when you get to rebuild. Extreme times require extreme measures. You will probably wind up needing your own Public Adjuster. You realize that the Insurance Company Adjusters work for the Insurance Company, They are truly not concerned about how quickly they work since they have the convenience of a huge Hurricane to blame. If you want something to start happening soon, you will need to go into your own pockets for a while. And all the specialists you need are very busy. They will get to you, just not on your schedule. Prayers out to you and your town. Many people are in the same boat! Also contact your city/county. In my area if a home is not livable then taxes stop that day. Breathe and have patience. Between Florence and Michael large, large areas were affected. Most of Va was also affected. It's very unsettling to not have a home to go to and not know when you can go home. Try your best to not let it get to you. Thats part of my problem. Who decides if its livable or not? 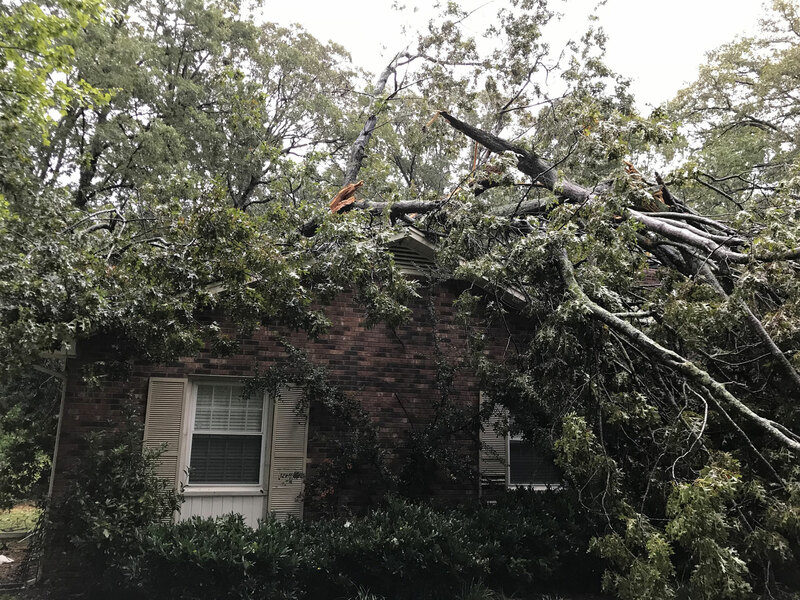 You may recall we got flooded after Harvey, the adjuster called us after a week, and actually showed up about two or three weeks later. To be fair it did take two weeks for water to recede enough to enter the house. He was an independent adjuster being paid commission on volume of damage, More damage assessed, more money. We got maxed out, but we did have intensive damage. Ours was quite fair. 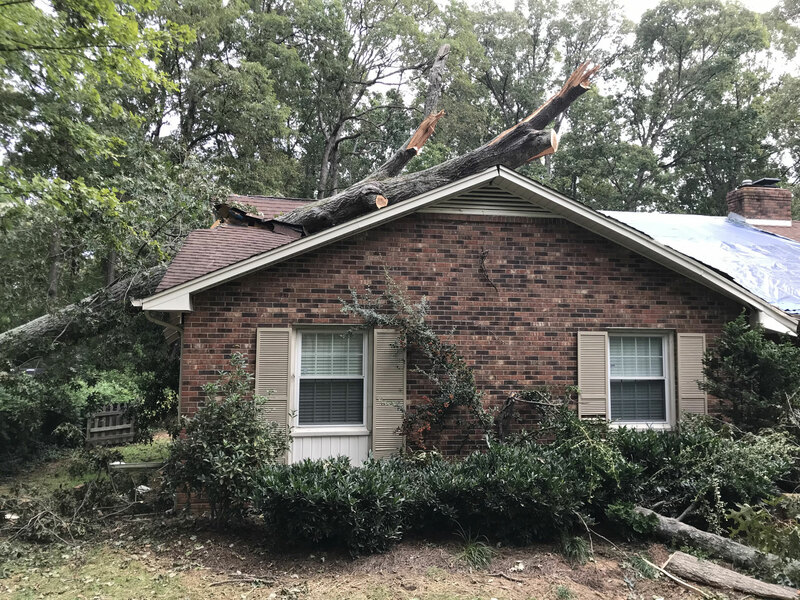 Our neighbor's adjuster was less fair and did their house another two weeks later. We got our emergency checks within a week of the initial visit.. It took about six weeks for the final adjustment, and another month for the final payment. The adjuster had an originally portfolio of ninety cases and since as many other adjusters were gone within a month to the scene of the next disaster, his load went up to several hundred. Word of advice, take pictures, a lot of pictures. Gather receipts for anything damaged, the costs of potential replacements, the cost incurred in cleanup, the costs of staying out of the house, costs of anything even remotely related. If you dont have a receipt for an item, picture the item and find a comparative costs on the net. Document everything. Make sure you meet them. Ask questions. PS. A year and a bit later we are still not back in..
Edited 1 time(s). Last edit at 10/16/2018 08:33AM by max. Contacting the county/city might also get you an answer to that question. I am sure you are not the only one who has a lot of questions. They might even have something up on the city/county website about it. Might start with the tax assessors office. In my area the city inspector can make that call. That looks like it could be minimal wiring damage. A general contractor should be able to do an assessment and repair estimate. They're likely quite busy too..
That's a lot of tree weight and the weight has to be supported off the house before they start cutting more. Essentially they have to jack up the tree before they cut any more. Or come in with a big crane and lift the whole thing off. ugh! looking at your pics is causing me PTSD moments. similar tree fell on my home in 2003. $60,000 worth of damage on a $50K house. out of my home for 5 months as i had the contractor from hell. insurance covered it all but dropped me immediately afterwards as it was a freak storm not a regional catastrophic event. oh, and they had to bring a crane in to lift the tree. created huge cracks in my driveway. i wish you the best. i was fortunate that my brother lived the next town over and had room to take me and my son in for that length of time. Edited 1 time(s). Last edit at 10/16/2018 01:42PM by graylocks. Wow! Huge tree! I removed one a bit bigger than that a few months ago. I was afraid with our sandy soil here, the wind might cause it to crash into the house. I'm happy to hear no one was injured at your place and hope you get things back to normal soon. Best of luck. About 20 years ago, I had a tree come down on my house during a storm on a Friday. I had much less damage than you've experienced but, I didn't get back home until after 5PM. When I called my insurance agent I simply got an answering machine. I tried calling the insurance company direct and again, got an answering machine. Friday night, I was in the room (my office) on my Mac when I heard a strange sound. It was water that had just started leaking in. I got buckets and containers to catch the water and then got all the electronics out of the room. I was lucky that, other than that one room, the house was still habitable. Over the weekend, I was still unable to reach a human being. Monday, at 9AM I was on the phone and, it took a while before I could finally talk with a person. Days later when an adjuster finally arrived, he would not even go up a ladder to get a better view of the damage. Once repairs were made and paid for, I changed insurance companies. The suggestion of getting an RV might be a good one; especially if you could park in on your property. I too would recommend you get a public adjuster. A PA will be working for YOU and, will take a MUCH more detailed inventory of damages than the insurance company's adjuster is likely to do. Things you probably wouldn't think to list will be noticed and listed by your PA and, your reimbursement should be noticeably more. 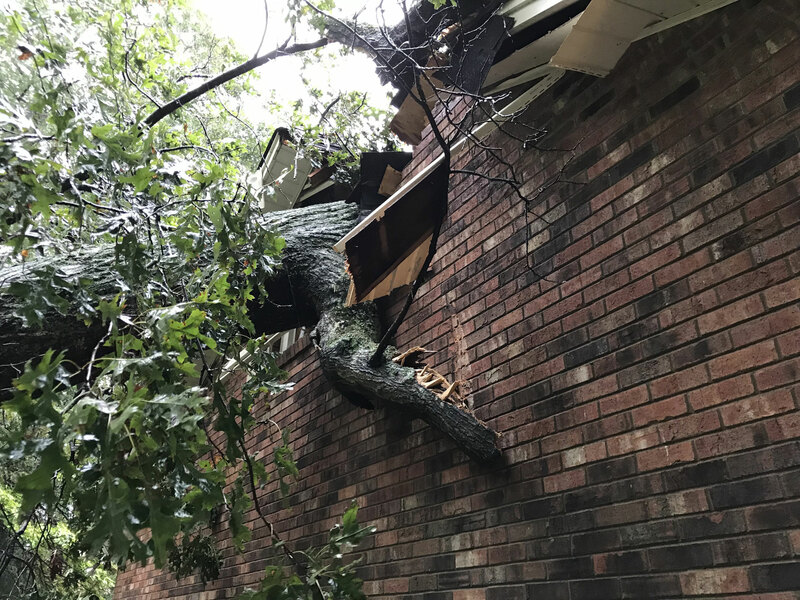 Make your neighbor remove the tree and pay for repairs. Wow, what a disaster! The only thing that I can think of to add to the advice above, is to think about how much worse it would be if someone was injured. Good luck with this! OMG, those photos are chilling. I'm very glad you are all okay. Apparently she gats off Scott free. From what I understand because it was a natural disaster my insurance pays for my damage. 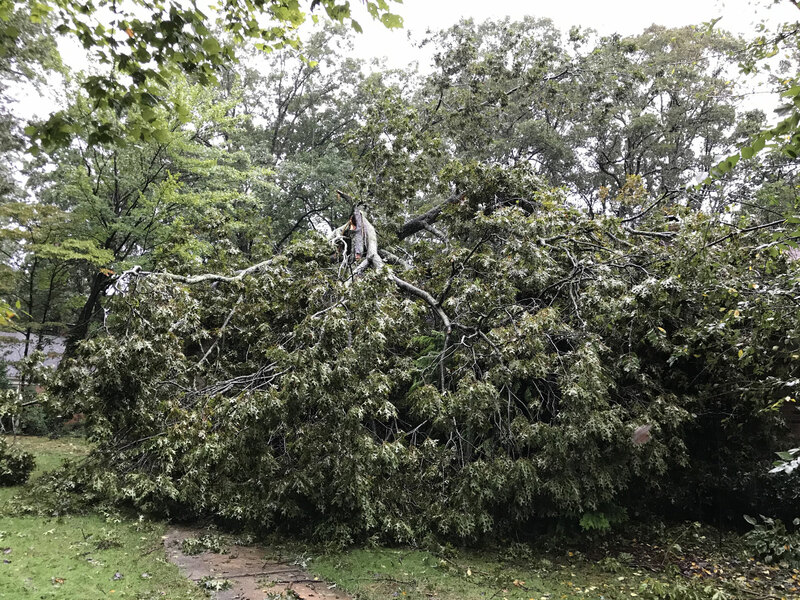 However if the tree just happened to fall sans natural disaster and we could prove that it should have been taken care of she would have been negligent and the onus would have been on her to fix it. And believe me. I knew it. The previous homeowner knew it. It was a question of when not if with that tree. So IMHO she dodged a BIG bullet. Edited 1 time(s). Last edit at 10/17/2018 04:40AM by bazookaman.